I hear this question very often when I’m out guiding or at the various fishing shows around the world. Well, it’s difficult to answer but I do believe that there is something almost mystical about a handmade bamboo rod which is generated from a bulky culm of bamboo grown and harvested halfway across the globe. So what is it about bamboo rods or split cane rods? Perhaps it’s the thought of how much work goes into making one, or perhaps it’s like reliving the glorious past of fly fishing when men were men, and fish were fish? Well, I really cannot answer those questions although I’ve dedicated much thought on the matter but I can assure you that fishing with a bamboo rod whether it be a replica of the great masters of the past or a taper which has taken years of trial and error to create, gives you a magical feeling as if your were at peace with mother nature. An incredibly inspiring feeling. When I started fly fishing in 1982, fibreglass was still going strong but was quickly taken over by graphite and Bamboo was a thing of the past. Most fishermen of my generation have heard a lot of talk about Bamboo or split cane rods but not many of us have even had the opportunity to wiggle one about! It was always at the back of my mind to own one, just to keep in touch with the past but I would never have thought that one day I would be fishing only bamboo; but the most astonishing thing is that I am actually making my own hand-planed split Bamboo rods. I owe this to my friends of the Italian Bamboo Rodmakers’ Association - IBRA - whom I met at one of their gatherings and who later taught me the fine art of Rodmaking. Being part of IBRA has given me the opportunity to meet some of the finest Rodmakers in the world! So thank you Alberto Poratelli, Gabriele Gori, Marco Giardina and Walter Rumi, who have opened this fantastic world to me. Special thanks also goes to my good friend William Harms who has helped with varnishing and to Rolf Baginski who has taught me some of his “secrets”. Rodmaking is a mission. A work of love. 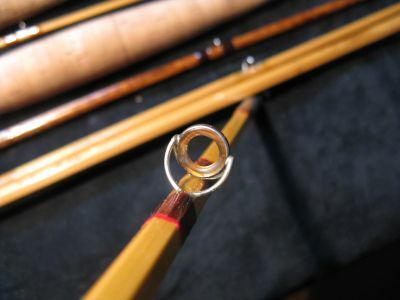 Each rod is carefully designed and I strive for the best possible quality although perfection is only for the gods! 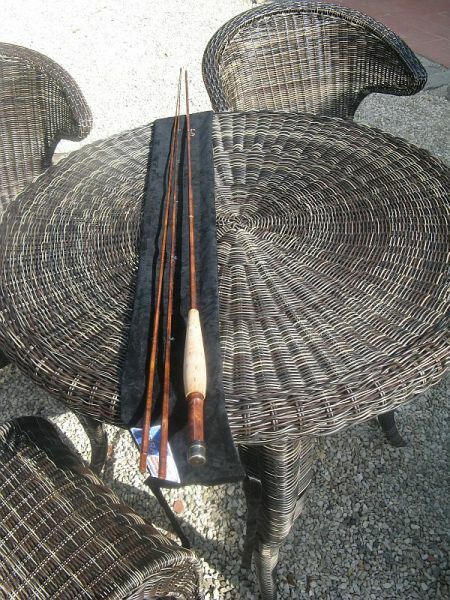 On average my rods, especially the tortoise shell flamed ones, take about 100 manhours to make. so please be patient as I have quite a few back orders. A big thank you to my good friend and colleague - Giacomo (Jack) Del Grande for his valuable help in making up this website!